We understand that few things are more difficult than ending a relationship with a loved one. That's why the separation lawyers at The Family Law Firm make it as easy as possible to get the legal help you need when you need it. We often see clients next-day and in emergency situations we can see clients same day. Our initial goal is to ensure you are fully informed of all options. 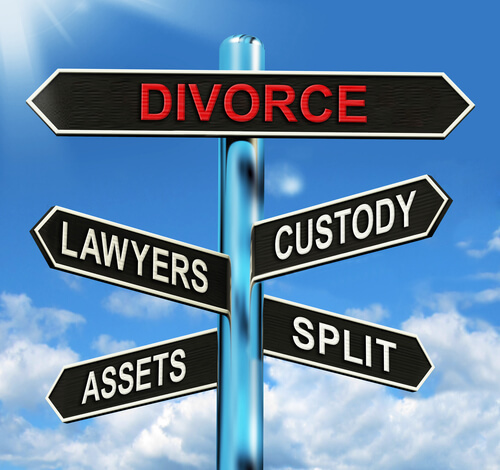 For example, should you get a separation agreement or a divorce? Once you have decided on a course of action, we do everything possible to complete the required legal processes in the shortest time possible - and with the minimum of stress, which typically means agreement is reached without going to court. But if you need to go to court, you will have the peace of mind that comes with knowing that few, if any, Divorce Lawyers have more court experience than us. Learn more by reading through our Fast Facts on the issues that typically need to be addressed to complete a divorce or legal separation. Need legal help? Contact us to request your free introductory consultation. "I wanted to express my HUGE thanks to you and to Jennifer for fighting for me and the girls a couple of weeks ago, and all the way along this process for that matter. Having that couple minute call with Jennifer was hugely empowering for me. I was completely beside myself (one of the three times I have actually cried about this divorce)."